This is precisely what we need to change, starting now. Make no mistake, it can be done. Let me repeat: in order for pre-disaster mitigation to be effective, we must take action now. A question to ask yourself—and forget everything above your community level—what action(s) are you taking now towards pre-disaster mitigation in your community? If you like the answer you have, great. If not, don’t despair—we can get there. There are a few essential skills we need to have, or develop. We are changing a culture. To restate the core problem identified by Mr. Long in the positive and turn it into the goal: We are building a true culture of preparedness in this country. You will see below how these skills come into play. Every community is different. Each has different resources and different challenges. While there is no “cookie-cutter” solution for all communities, there are a few common themes and some common questions we can ask in order to arrive at what a particular community may need to do in order to work towards meaningful pre-disaster mitigation. But before we can change the culture of a community, there are a few personal steps that will help. Notice that above, I said work towards meaningful pre-disaster mitigation. If you want your community to be prepared for a worst-case scenario by next Friday, you’re going to be disappointed. I think it is best to think of pre-disaster mitigation as a journey—each action we take makes our community more prepared and more resilient. Can we ever be fully 100% prepared for everything? Perhaps not. But if we commence the journey now, next week we will be more prepared as a community than we were last week. If we are going to change the culture and save lives, we must be men and women of action. We must lead change. We must lead people. We must build coalitions. Leading and building are actions. In order for pre-disaster mitigation to be effective we need to take action now. Most communities do not plan or prepare for a worst-case scenario. Remember, a regional disaster such as Hurricane Katrina and Hurricane Maria are actually “best-case scenarios” because outside resources were available. So what is a worst-case scenario? A national-scale long-term loss of the electric grid due to a cyber-attack, geomagnetic disturbance (solar flare), electromagnetic pulse (EMP) attack, terrorism or any other reason. So what if this worst-case scenario happened? According to a March 2017 Senate report, up to 90% of the population of the United States could perish. Yep. That’s pretty bad, so let’s go with that as our worst-case scenario. Remember, this is a national-scale disaster. No outside resources are available. The cavalry is not coming. Your town is on its own. 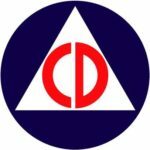 As civil defense morphed into emergency management over the years, we lost something vital. Specifically, organizing and training civilians to play key roles in a community’s survival. 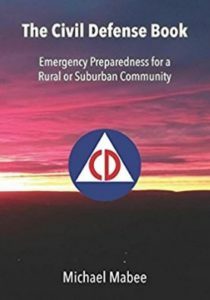 The mission of the [your town’s name] Civil Defense Corp. is to educate and promote individual, family, and town preparedness for disasters; to provide disaster assistance and relief to town residents in the event of a disaster; and to educate and provide planning and resource options to the town for preparation and response to a “worst-case,” long-term catastrophe affecting the town. A subgroup of EMTs, paramedics, doctors and nurses stocking supplies, equipment and planning for how medical services could be delivered in a worst case scenario. A subgroup of HAM radio operators and engineers working on ways for the town to communicate internally and externally. 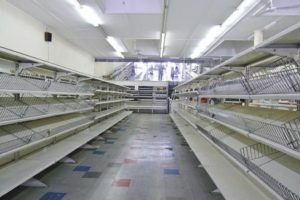 A subgroup working to stock and produce food for the community, as well as educating the public on ways to be more food independent. A subgroup working on methods to insure that potable water is available and safe in a disaster. A subgroup working on methods of providing alternative power for critical facilities and services. A security subgroup working with the local police department to provide resources and man-power. A safety, health, and sanitation subgroup working to prevent disease and injury as sanitation services are interrupted and people are forced to do non-traditional tasks to survive. An outreach subgroup focused on training and education – teaching the public preparedness, homesteading skills and self-reliance. A finance subgroup soliciting donations, grants and organizing activities to fund the civil defense program. And other subgroups based on your particular community’s needs. What a resource multiplier! With a civil defense organization like this, your community is moving rapidly towards true pre-disaster mitigation. Of course, you didn’t really wake up—this is just a vivid dream. But if we are men and women of action, we can turn this dream into reality for our community.